It is year 2000, you remember? it would have been , according to what the world was saying that time, the end of it…. 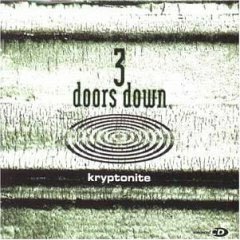 But nothing happened……except……..a band from Mississipi, from the southern part of United States , created in 1994 and called 3 Doors Down wrote one amazing song: Kryptonite. 3 Doors Down is a band that stays at the side of the losers those persons that never win……is for also this reason that the Band is so loved by the public…in pure style Grounge. MTV gave the full support to the band that was launched in the Rock N Roll universe…. I don’t even know the way I ended up here, however I assumed this submit was once great. I don’t realize who you’re however certainly you are going to a famous blogger for those who aren’t already 😉 Cheers!